We suggest the best exhibition package for your exhibition needs. You are able to create your individual service basket and submit registration form online in the matter of several minutes. Please note, to submit registration it is obligatory to choose only exhibition space. All other suggested services are not obligatory, however, they can really promote your business or make your exhibition more convenient both for you and for your clients. After choosing the services you need, you will fill your personal data which will be officially publised if you choose certain services. If you do not find services that you need, please contact us directly to discuss how we could help you. Vilnius International Coin Fair 2018 has its own catalogue! The fair catalogue is a special magazine that includes articles about investing in gold, coins, banknotes, medals and other collectors` commodities, published on the occasion of MS Vilnius International Coin Fair. Every visitor will get the magazine upon arrival to the Fair. The catalogue will be presented on the online Millenium State collectors` community as well. This is the best place to show your Brand for collectors and investors. The catalogue size is A4 (210x297mm). Advertisement space on the ticket! There is only one exclusive advertisement space. Be the first to purchase this space to make sure that every visitor sees your ad. Your Brand will be placed on both the online ticket and the ticket which will be sold on the event day. We provide an opportunity to purchase a roll up, which you can place in the exhibition space, either at the entrance or at your stand. After the trade show you will be given both the poster and the construction itself. A.2 Roll up at the Fair entrance area. Promote your Brand in a modern way! We offer an option to present your Brand on a TV screen. You can choose to take the TV screen near Your exhibition stand or launch your presentation on the wall in the main room through the projector screen as well. Attract attention with hostesses. You can hire hostesses for flyering at the entry of the Fair or to support your stand staff. We offer advertisement space on the trade show homepage. Let visitors know that You are taking part in this event! Purchase 200px x 200px advertisment space for Your logo with a hyperlink to Your home website. Let visitors know more about You. We offer you an opportunity to place your advertisement on the social network page of our Fair free of charge! We can provide you with an opportunity to promote your Brand in the Millenium State newsletter. Millenium State is a specialized online marketplace for collectors and investors all over the world with growing popularity among hundreds of users every month. We will help you reach your audience in a more efficient way even beyond exhibition space! We suggest you make the most out of your visit in Vilnius by staying at Radisson Blu. 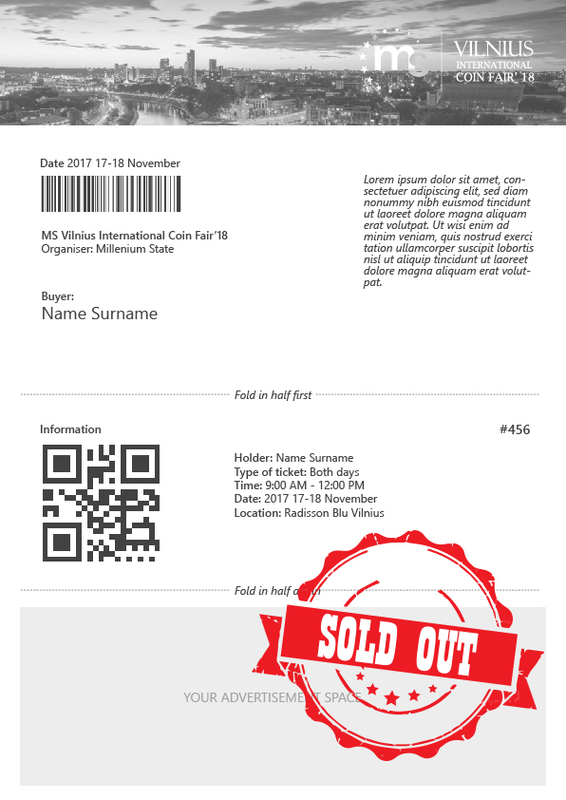 Radisson Blu is hosting the MS Vilnius International Coin Fair 2018 so you would not need to worry about how to get from your hotel to the exhibition. Moreover, you will be able to enjoy high quality hotel services and a truly spectacular view of Vilnius from your room! As our exhibitor, you will get the best service and prices during your stay, as you will be able to get a discount code once the registration is completed. If you want to make the most of the exhibition, create your own catalogue! We can provide you with professional design services. Our team will be able to create catalogs, flyers, brochures, posters and even more! We will get in touch with you to find out your needs and suggest the best prices. In order to keep your items safe you can order security boxes during your exhibition time. 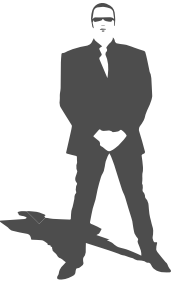 If you think you need extra security, we can provide you with an additional security guard. This would be a professional security agency which will accompany you or your exhibition space during your stay. Choose the number of security guards and the number of hours you will need them for. According to your needs we can choose the most suitable safe. We can offer to promote your business by making a unique video or a photoshoot of your stand and your company. You will be able to give an interview and show all the benefits of your company. Choose this service and we will get in touch with you to discuss the details. We offer fast and secure way to get from your arrival point to your hotel or exhibition space. You will not need to worry about transportation. Choose this service and we get in touch with you to discuss your needs! Millenium State marketplace is becoming a home for some of the finest numismatic coins and other collectibles in online auctions. With our experience dealing with rare coins, we are able to bring some of the highest quality consignments to our bidders. In addition to rare coins, you are able to consign for medals, banknotes or decorations. Collectors are encouraged to consign their collections of rarities to the Millenium State marketplace. An online auction of Millenium State will be held on the 17th of November and will end at 6:00 pm Vilnius time. Descriptions with pictures will be uploaded by Millenium State on the MS platform. Bidders from all over the world will place their maximum bids during the last minute. Millenium State creates trust between the buyer and the seller. Become a Millenium subscriber for one year and enjoy all the benefits of the collecting world! Sign the consignment and handle collection to either the Luxembourg or the Vilnius Office. 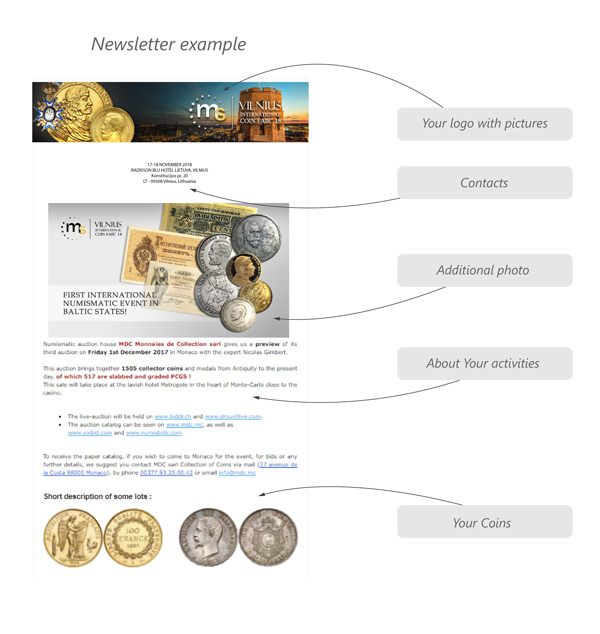 Millenium State numismatic experts will prepare Your collection for the online auction (professional description and pictures). Sell Your collection on the Millenium State auction day at the best price! Not a Millenium subscriber yet?